Lady Gaga follows him on twitter while Tila Tequila blocks him. He is known for his aggressive in your face coverage of Hollywood celebrities, actors, musicians and other famous faces. Shei (Shay-Yee) Funmi, nevertheless, strikes somewhat of a balance on his blog, sheifunmi.com, with interview features of emerging artists worldwide including African artists. Almost 10,000 followers (many of which include Hollywood celebrities) in less than a year of official blogging (August 2009), the 18year old Nigerian blogger is slowly but surely gaining notoriety among Hollywood celebrities and we think is a blogger to watch in 2010. 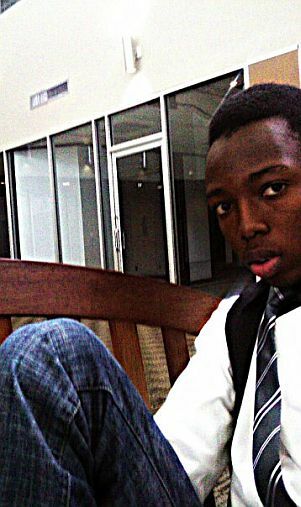 Oluwaseyifunmi Abdulfatai Yusuf (Shei) was born in Lagos, Nigeria on January 30th, 1992 to a Muslim family. He is the last of nine children. His father married four (4) wives and his mother is the number four wife. In this interview, the very bright Shei (he began college at 14!) who says he wants to be the Oprah for Nigeria/Africa youths shares with Ladybrille Magazine’s Editor-in-Chief, Uduak Oduok, his passion for media, his celebrity coverage and his hope for the future. LADYBRILLEmag.com: Hi Shei how are you? Shei Funmi: I am splendiferously divine thank you, and yourself? Shei Funmi: (Laughs) Glad to hear that! LADYBRILLEmag.com: (Laughs) Okay so we have so much to cover. I am amazed with what you have done in such short time with your blog. LADYBRILLEmag.com: What drives you? What motivates you in life? Shei Funmi: WOW! Na God oo. (It’s God) God’s grace keeps me going and people I look up to out there doing good for themselves and my mother. LADYBRILLEmag.com: Tell us about yourself, your background? Shei Funmi: Sheifunmi was born and raised in Lagos, Nigeria, went to primary (grade) school and high school in Lagos, was in the UK for a while then went back to Nigeria for University which was about 2years later on decided to move to the states due to a lot of happenings in his home. LADYBRILLEmag.com: You speak of yourself in the 3rd person. Is it okay if we use you in the 1st person? What primary (grade) and high school in Lagos did you go to? Shei Funmi: I went to Providence Primary School in Ifako – Ijaye Lagos, went to Dansol High School in Ikeja later on changed to Ifako International Secondary School, Agege. LADYBRILLEmag.com: You mention that you later went to the UK. Why did you move to the UK? Shei Funmi: I just wanted to be away from home for a while, basically there was no specific reason for me going to the UK. LADYBRILLEmag.com: Gotcha. Okay so at some point you return home and begin attending University in Nigeria. Which one? . . .
Shei Funmi: I went to Babcock University in Nigeria. LADYBRILLEmag.com: You say you moved to the States due to a lot of happenings in your home. What happenings? Care to share? Shei Funmi: Yes I moved to the States because I really could not deal with my parents not getting along and I grew up watching them like that which really affected me. I could not stand my mom having to fight to save her marriage because I am the only child for her. More so I am not the only child of my dad, I am the last of all. So I am from a polygamous family with a whole lot of drama. I wanted to be with my siblings and be happy because I was like the only child of my dad who really had that Nigerian lifestyle. LADYBRILLEmag.com: Interesting. When you say “Nigerian lifestyle,” what do you mean by that? LADYBRILLEmag.com: (laughs) Oh! that Nigerian lifestyle where the elites send their children to study abroad. LADYBRILLEmag.com: You are a very passionate and almost sensitive guy, at least that is my perception, but you also come off as an in your face Perez Hilton style blogger. Why did you decide to start Shei Funmi blog? Shei Funmi: I started as a VLogger, singing on You Tube alongside I had a blog spot where I wrote all my emotions. People got interested but didn’t know I was writing about me until the day a friend on Facebook told me I am more of an entertainment person and he knows that I do media in Nigeria so I can take my blogging to the next level here in the States and be creative. 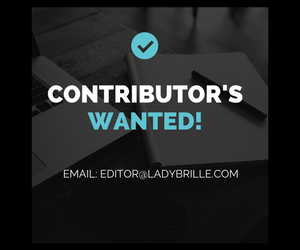 LADYBRILLEmag.com: Tell us about the media in Nigeria you did. What exactly where you doing? Shei Funmi: I had a radio show at Babcock University (RED ALERT) where I talked about the school’s gossip and also gist(ed) about artists. I called them on the phone to confirm if things were true, doing the confirmation live on air. Also, I was always writing gossips on the notice board and students coming from the cafeteria stopped to read it. It then extended to me going out to interview Nigerian artists and at times I interviewed them on air, (organized) concerts and events in school. LADYBRILLEmag.com: Where does your love for gossip come from and how much fact checking do you do on the accuracy of what you say/publish on your site? LADYBRILLEmag.com: And your love for gossip, where does that come from? LADYBRILLEmag.com: You seem to get people to react very strongly (as in tick people off). Do you like pushing people’s buttons? Shei Funmi: Not at all. I just say what needs to be said and I give my view of it which has affected my relationship with most celebrities today but the thing is, not everyone will like you and accept you and if everyone likes you there is a huge problem. But, I don’t like to push people’s buttons, it’s natural in me I have that sharp and harsh mouth. (laughs) So I express myself and give my view. LADYBRILLEmag.com: Let’s talk about some celebs you have ticked off. (Laughs) Let’s start with Tila Tequila. What’s your issue with her? Shei Funmi: I can’t stand her. (laughs) Her attitude, personality, I just can’t. (laughs) Not a fan. LADYBRILLEmag.com: It’s pretty clear. What other celebs can’t you stand? LADYBRILLEmag.com: With the way you are going, I see you going mainstream in the US and gaining the same notoriety that Perez Hilton of Perez Hilton.com and Natasha of YBF.com have. Where do you see yourself? Shei Funmi: (laughs) I have to address that. (laughs) I don’t like when I’m compared to Perez Hilton (laughs) but I see myself as a media personality, the young maven for the internet, tv and radio which is starting off slowly. Ryan Seacrest is my role model so I chose to be more in his path. LADYBRILLEmag.com: More in Ryan’s path?! Does that mean you will ditch the gossip side of Shei Funmi down the line? Shei Funmi: Hell no! (laughs)! I will still do it (laughs). I will be versatile on both sides. . .
LADYBRILLEmag.com: What is your favorite interview to date on your blog? Shei Funmi: Wow that is hard to choose but I’d say my first Hollywood interview and that was with Jennia Fredrique and it was awesome! LADYBRILLEmag.com: You are African, Nigerian to be specific. Where does a young Nigerian kid get the courage to ask Hollywood celebs for interviews? What gives you that confidence and are you contacting them on Twitter? Shei Funmi: Once you have access to one then networking starts (laughs), and on twitter I don’t follow any American artist except for Ryan Seacrest but I noticed most of them follow me on twitter which is weird. But really I do my findings and hustle. (laughs). LADYBRILLE.com: Good for you. Are you in school now? LADYBRILLEmag.com: University? How many years did you complete in Nigeria before coming to the USA? Shei Funmi: A year. I’m like taking classes before time, and working all the hours. (laughs) but I am not transferring to a University. I’ll keep my associate degree and apply to a University as a Freshman. I am changing my course from journalism and communication to Media Arts. LADYBRILLEmag.com: I know you have said you want to be the Oprah for Nigerian youths. What steps are you taking towards that? Shei Funmi: Working hard, staying focused and being determined. It is a gradual process. This is where Oluwaseyifunmi comes in and not Shei Funmi meaning it’s not all about me getting celebrities mad or putting famous faces out there but with positivity. LADYBRILLEmag.com: You seem very confident online, are you a very confident person? LADYBRILLEmag.com: What do you do for fun? Shei Funmi: I am boring (laughs). All I do is stay up on the internet and watch movies and read articles online. I am more of an introvert. Whatever I do is online, shopping but once in like two months I go to the movies. If am not on the internet, then I am in the park, plugged in listening to my soulful music and meditating. LADYBRILLEmag.com: What is your favorite film to date? Shei Funmi: That is a very hard one. (laughs) For now, it’s PRECIOUS. LADYBRILLEmag.com: Shei where do you see yourself in 3years? Shei Funmi: An ambassador for Nigerian Youths home and abroad. I don’t see the sky as the limit so I’ll keep working hard and will be at the top then. LADYBRILLEmag.com: Where do you want Shei Funmi.com to go in 2years? Shei Funmi: WOW! Change the face of blogging on internet, entertainment and media, it is going to be fantabulous. I am working on a lot of things right now in no time they will be unveiled. Shei Funmi: Thank you very much and it’s my job (laughs) so I’ll try my best not to. Visit Shei Funmi’s blog here. Visit his twitter page here. yea..am happy for Shei..I wish you all d best in life.Go bro!